The Pet Sematary remake is officially happening and Paramount Pictures has locked down a release date. The studio has officially dated the upcoming re-adaptation of Stephen King's 1983 novel for April 19, 2019. That means this will be the major studio release coming out on Easter weekend that year, which should be fun for horror fans. Especially in regards to the subject matter about resurrection, which ties in nicely to to the holiday. Not so much for those looking for a family-friendly affair, though. Open Road's Playmobil is also coming out that weekend. 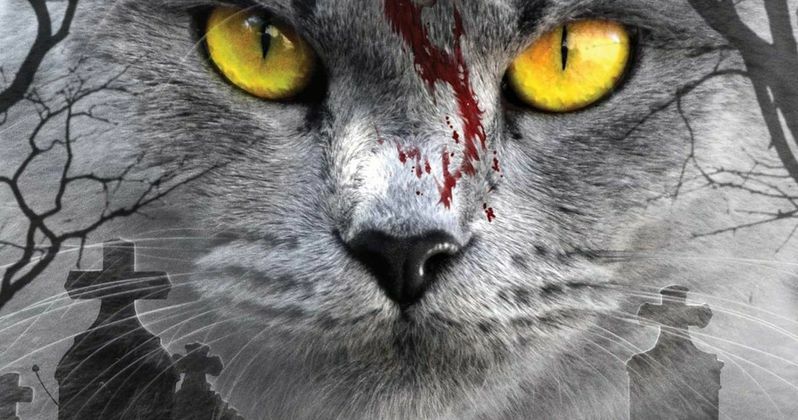 There have been rumors of a Pet Sematary remake brewing for quite some time. But with the success of director Andy Muschietti's IT this year, studios have been keen to get in on the Stephen King action while the getting is good. Not only did IT go on to become the highest-grossing horror movie ever, with $694 million worldwide, but 2017 has also been the biggest year for horror in history, with movies like Get Out, Happy Death Day and Annabelle: Creation, among others, also dominating at the box office this year. So it makes sense that Paramount is eager to get moving with Pet Sematary. Interestingly enough, Andy Muschietti had expressed interest in directing this remake himself, but he ultimately didn't get the job. Stephen King's Pet Sematary was originally adapted for the big screen in 1989 and, though the movie has its lovers today and is something of a classic in its own right, critics did not love it at the time and it wasn't a huge financial success. But the $57 million box office was enough to justify Pet Sematary II, which was released in 1992. The follow-up is most definitely not what one would call a beloved sequel and only grossed $17 million. In case you aren't familiar, the plot of King's novel is as follows. Paramount Pictures has tapped Kevin Kolsch and Dennis Widmyer (Starry Eyes) to direct the remake of Pet Cemetery. No casting announcements have been made just yet, but with the release date now locked in, we should be learning more in the near future. In slightly less-splashy news, Paramount has also dated Mark Wahlberg's Instant Family, which is now set for release on February 15, 2019. The movie centers on a couple who want to have children and adopt through the foster-care system, only to find themselves raising three wild kids who have no interest in being parented.